These are the heels from my spring wish list. I was thrilled when they came in the mail and couldn’t wait to share them on my blog! I added some thrifted boyfriend jeans and a Cynthia Vincent dress tucked in as a blouse, for an everyday glam outfit. 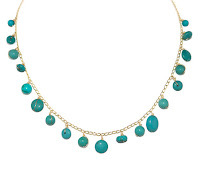 How beautiful is this turquoise necklace?! Plata Designs was gracious enough to send me some gorgeous jewelry and I was so excited to style this lovely statement piece. Plata Designs is a jewelry company based out of Colorado; it’s all created by a mother daughter duo that works together to design delicate and amazing jewelry. Does it get better than that? It does! All the jewelry is budget friendly! Stay tuned for an amazing giveaway tomorrow! i love this, the shirt is so beautiful on you! i just posted an outfit wearing a very similar necklace that i love!! turquoise is always my favourite!! This is a dress? Brilliant! I love the color and detail on it. 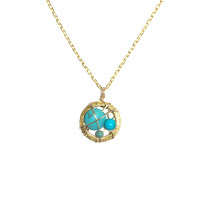 And that necklace is so pretty with it. Love your wish list sandals too! Hey guys what a nice post. I like it. Here is another style store. Please visit here and see latest update for any stylish. What a nice perform. So happy. I Think "to use what do you know and find out what do you don't know"
I will not share this post with my GF. She will be mad to get this necklace. 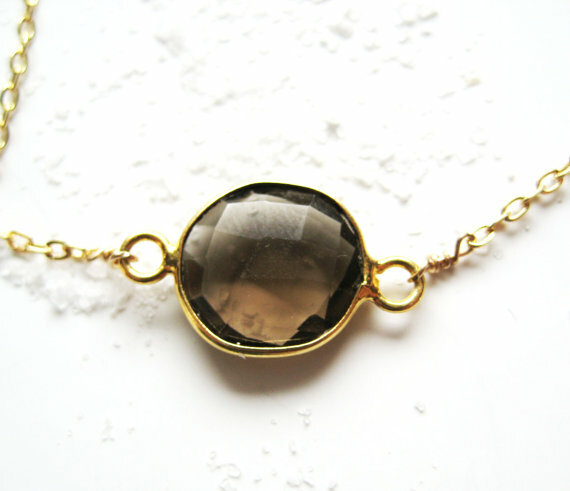 I will buy "Smokey Quartz Bezel Gold Necklace" in-front of her birthday. I absolutely love how realistic your blog is. I am a college student and sometimes I feel like fashion blogs just show off all of these clothes I can't afford. Thanks for sharing your thoughts on fashion with the world! Keep up the great work girl!